The Tian' Shan' (meaning celestial mountains) are situated in the territory of the former USSR and Eastern China. 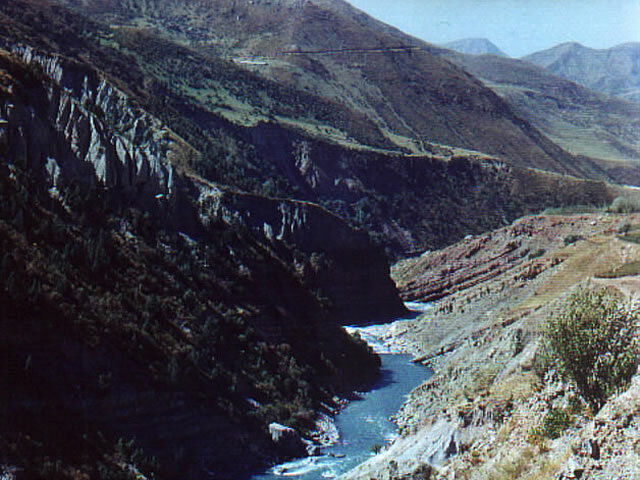 In the limits of the former USSR this mountain system occupies the main part of the Kyrgyzstan territory as well as small parts of Kazakhstan, Uzbekistan, and Tajikistan. Geographers usually divide the Tian' Shan' into four regions: Central, Northern, Western, and the Inner Tian' Shan'. The highest peak of the range is the Pobeda (Victory) Peak at 7493 meters which is the most northern seven thousand meter peak on our planet. Khan Tengri (6995m), a gigantic pyramid, rises not far from Peak Pobeda. Both of these peaks are very popular among mountaineers and climbers. High altitudes and complicated relief create great contrasts in temperatures and moisture levels. The average July temperature at the foot of the mountains is about 20-25 C. The high-altitude Lake Issyk-Kul' (182 km long and almost 60 km wide) is the reason for the mild climate of the adjoining area. There are 7787 glaciers which comprise a total of 7326 square km of area in the Tian' Shan' Mountains. The largest is the South Ingylchek glacier at 60 km long. These glaciers and their melting snow are the source for the rivers of the Tian' Shan'. This glacial melt during the summer leads to high river flows and makes rafting very dangerous, sometimes close to suicidal. At that time most rivers are very cold (about 7 degrees centigrade). Therefore the best rafting season is late August and September. Most of the rivers flow into the desert lakes and many of them have dams. Almost all rivers are extremely interesting for rafting althogh the majority of them are very complicated (Class V and VI). The most popular among them are the Sandalash, Chatkal, Chilik, Chon-Kemin, Kekemeren, Naryn, Oygaing, Pskem, and Charyn rivers. Each of these have magnificent canyons. The Tian' Shan' lakes, especially Lake Issyk-Kul', are amazingly beautiful. The Issyk-Kul' is wonderful due to its greenish-blue color and picturesque surrounding mountains. The lake is 702 meters deep. The higher Tian' Shan' region is covered with beautiful fir forest followed by alpine meadows at higher elevations. The lower zones of southern and southwestern Tian' Shan' are areas of deciduous forests with walnuts and maples. 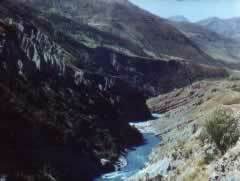 There are many bushes and sea-buckthorn grow here as well as fruit trees growing in the Chatkal valleys. 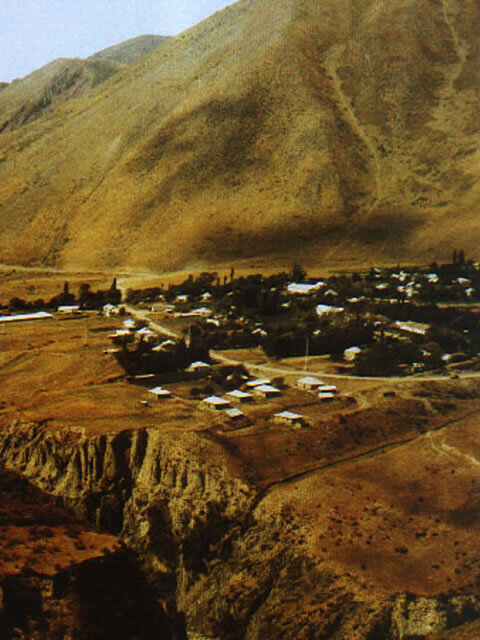 The Kyrgyz population practices cattle-breeding and agriculture. 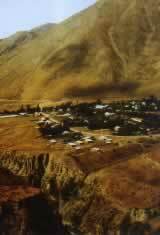 Villages are located only in the lower river reaches and nothing but shepherds stops can be found higher. Even though the area is sparcely populated, most whitewater runs can be reached either by truck or by air.